serves Rochester, Buffalo, Syracuse, and the Finger Lakes. Graham Plastic Surgery is staffed and equipped for a VIP experience for all our guests. Our philosophy at GPS is centered on expertise, integrity, safety, compassion, and creating an unparalleled experience for all patients. At the forefront of all our operations is our most esteemed plastic and hand surgeon, Dr. David Graham, who offers patients an incredible, customized experience with the utmost in personal care. Our practice philosophy places a focus on relationships and life transformation, as opposed to transaction. This philosophy, along with our exceptional results, is why we are the highest rated plastic surgeon in Rochester, NY based on online reviews. which is the highest credentialing a plastic or cosmetic surgeon can achieve. He is double fellowship trained in both Plastic Surgery and Hand Surgery. He has over 15 years of diverse surgical experience and has performed more than 10,000 operations. He is also a member of the American Society of Plastic Surgeons (ASPS) as well as the American Association of Hand Surgery (AAHS). He is trained in all areas of plastic surgery, but primarily specializes in breast, body, and hand procedures. Breast Augmentation, Breast Lift, Tummy Tuck, Mommy Makeover, Rhinoplasty, Hand Surgery, and Blepharoplasty are all procedures in which he is an expert. Dr. Graham is double fellowship-trained in both hand and plastic surgery. Therefore, he is an expert in both hand and plastic surgical procedures. As a result, we offer a wide range of plastic and hand surgical services. Unlike older practices in the region, we are also more up to date with advanced surgical techniques. One example would be our endoscopic carpal tunnel technique. This technique results in less pain and a recovery time of days, not months. This surgery is actually the standard of care for carpal tunnel treatment in many larger markets. 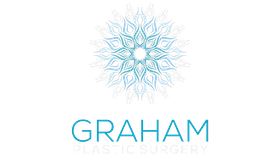 Graham Plastic Surgery offers our plastic surgery patients a variety of surgical and non-surgical cosmetic procedures that can achieve rejuvenating and natural-looking results. We also offer a wide selection of other breast procedures, male plastic surgery procedures, body procedures, facial procedures, revision or reconstructive surgeries, hand surgeries, and non-surgical cosmetic procedures. Dr. Graham is dedicated to providing a range of cosmetic treatments using the most advanced and effective techniques available. 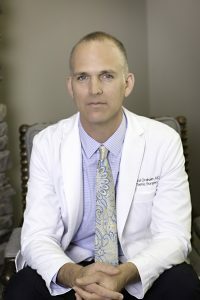 Dr. Graham is most known for his breast augmentation and tummy tuck techniques. Firstly, he has developed his own breast augmentation technique which combines 2 techniques from some of the most acclaimed breast plastic surgeons in the world. Based on the best plastic surgery literature, his breast augmentation technique ensures optimal beauty and safety, while also promising long lasting results. He also uses the highest quality Mentor Breast Implants, which have a high safety profile and are made in the USA. Secondly, and most notably, Dr. Graham is best known for his tummy tuck technique. Patients travel from all over the East Coast for Dr. Graham’s advanced belly button technique. Using a specialized flap, the belly button is recreated to perfection. Dr. Graham prides himself on keeping these scars natural and well hidden so all of his patients can get back to their 2 piece bathing suits without arousing suspicion. Dr. Graham regularly reads scientific journals and attends international meetings to stay in the forefront of plastic and hand surgery. This commitment is because we are not trying to be the best plastic surgery practice in Rochester, NY, but the best plastic surgery practice…period. This is why we offer services such as Hydrafacial MD, VI Peel, advanced INFINI microneedling system with RFA, fat grafting, as well as platelet rich plasma treatments. We are also the only provider in the region to offer Bellafill, a new long lasting filler that yields results for up to five years. Check Graham Plastic Surgery Out on Social Media! I finally took my tape off, everything is great!!! Copyright © 2019 Graham Plastic Surgery | Plastic Surgery Rochester NY. All Rights Reserved.